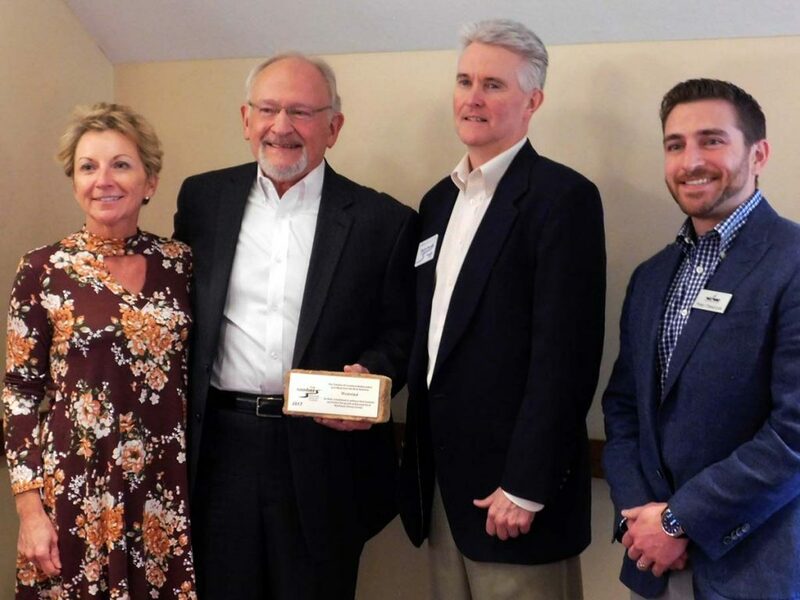 Westwind was the proud recipient of The Chamber of Grand Haven, Spring Lake and Ferrysburg Ambassador Brick Award at the April 21 Early Bird Breakfast. Greg Oleszczuk, Westwind owner and founder accepted the honor for the team’s 18,000 square foot renovation of the historic two-story Challenge Machinery building located at the corner of Fulton and Beechtree streets in Grand Haven, Michigan. The Chamber Brick Award is given to those businesses that enhance and contribute to the community with significant construction projects. A project can be either new, a renovation or addition to existing structures to be considered for the prestigious award.